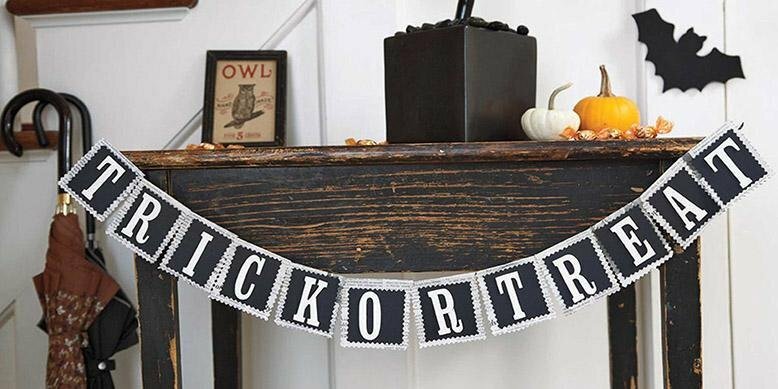 It’s October and that means it’s time to start coming up with Halloween decoration ideas! 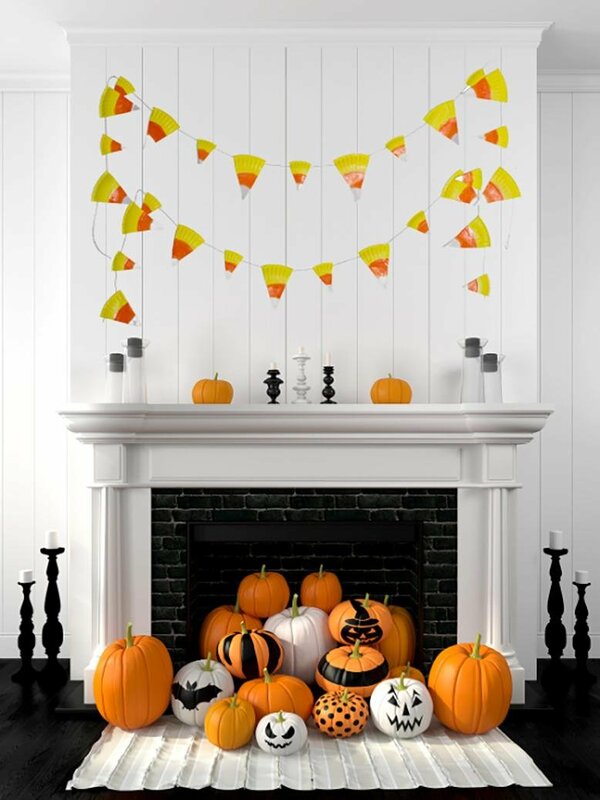 There are so many ways to bring the Halloween spirit into your home. Check out some of my favorite, easy ideas below. Don’t you love this simple fireplace mantle decoration? The banner would be so easy to make and wouldn’t it look especially good with a metal pumpkin like this one up there as well? 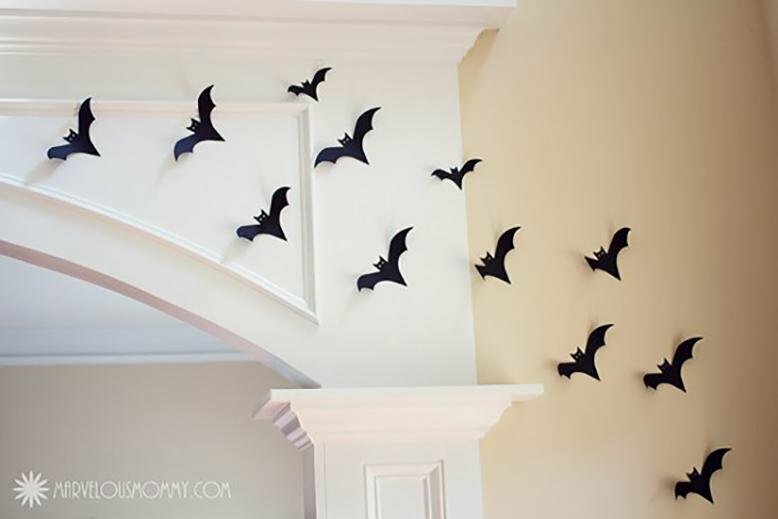 I love this wall of bats. Pair it with this orange and black spider pillow for the ultimate Halloween look. 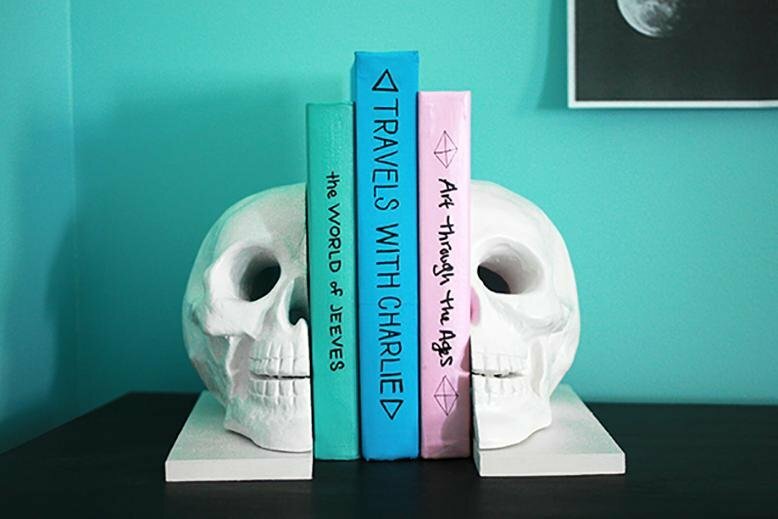 These DIY skull bookends are a subtle Halloween touch to add to your home. If you want to go all out with the skeleton theme, how funny would these skeletons be on your shelf? 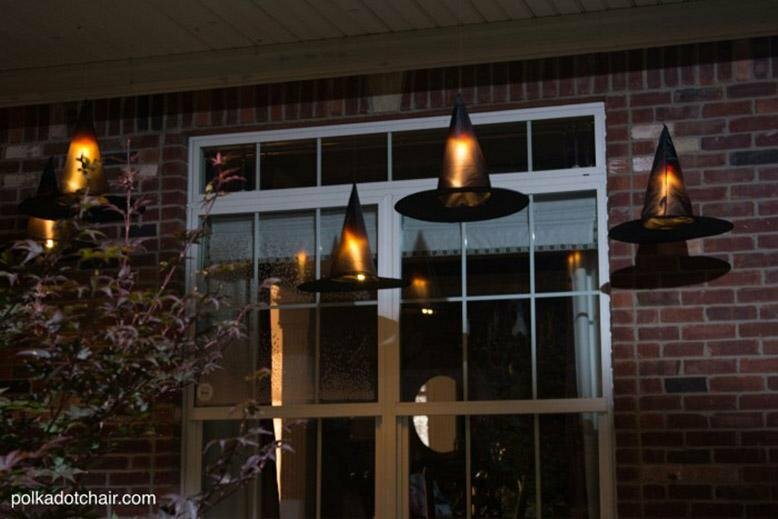 Light up your entryway with these witch hats you can make yourself! Once your guests come through your door, greet them with some candy corn in this candy holder. Fill an empty fireplace with pumpkins for the perfect fall look. Buy pumpkins from the store and keep them through November, but add a little Halloween flavor with some decorated pumpkins. 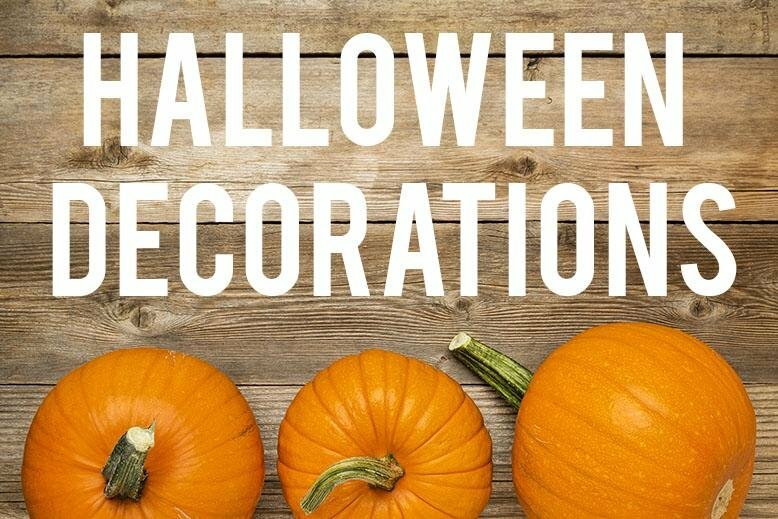 What is your favorite way of decorating for Halloween?